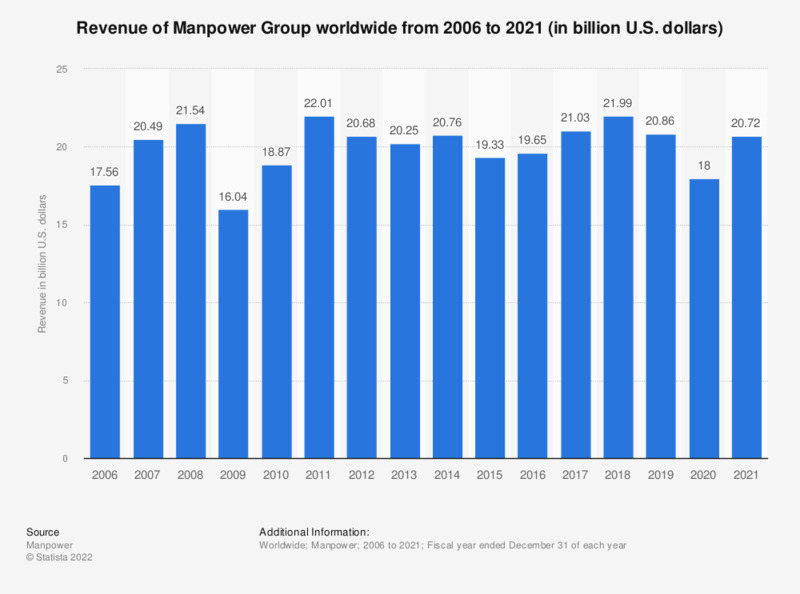 This statistic shows the revenue of Manpower Group worldwide from 2006 to 2018. Global human resources consulting firm Manpower Group generated approximately 22 billion U.S. dollars in revenue in 2018. In 2016, Manpower ranked as the third largest staffing and temporary employment company in the world, behind the Swiss firm Adecco and Randstad. Figures prior to 2014 come from earlier financial releases. Figures have been rounded.